Although real crab meat is delicious, imitation crab meat can be delicious too. Moreover, it’s much less expensive and provides is a good source of protein and a good substitute to stifle your real crab meat cravings. It has a good bite to it as well and is always fork-friendly unless you purposely flake it. 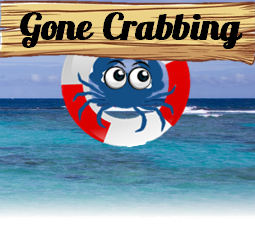 Didn’t come up with a hefty catch of crabs today? Try this imitation crab salad recipe to get your fix. The longest step to this recipe is boiling the eggs. Otherwise, it’s a quick process and your dish will be ready in no time. This is a recipe by Audrie from allrecipes.com. Place the eggs into a saucepan and fill it with water. Heat the water up to a boil (you are going to make hard-boiled eggs). You may want to cover the saucepan to make this faster. Once boiling, remove the saucepan from the heat and let the eggs sit for about 10 minutes. Peel them and dice them up. Use the large mixing bowl to combine the bread cubes, eggs, celery, mayonnaise, imitation crab meat, onion, sour cream. Add salt and pepper to taste. Mix together well and refrigerate until ready to serve.